As I board the twelve hour flight from Seattle to Shanghai, my mind is churning at the prospect of seeing up close and personal what I’ve otherwise seen only from a distance and through a Western lens. 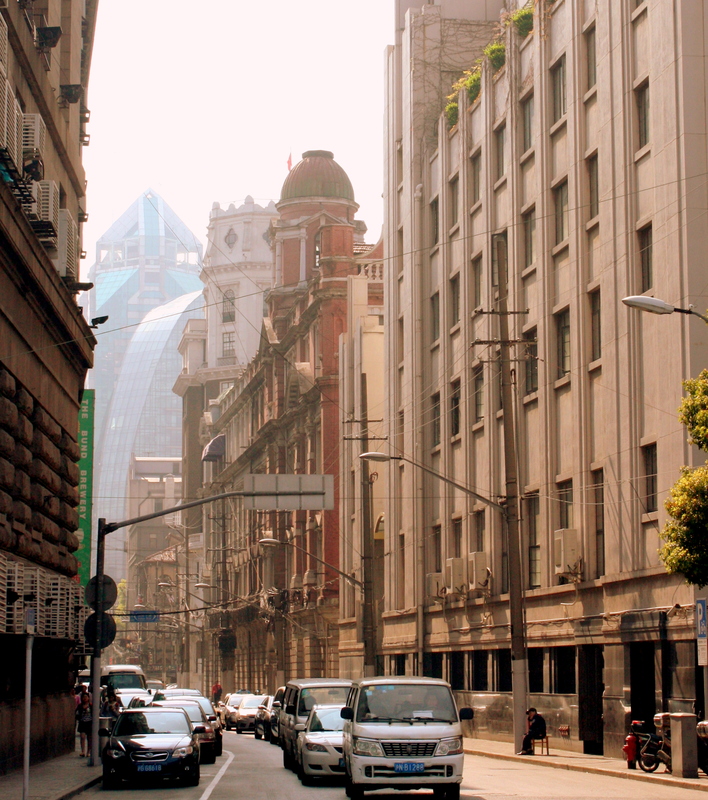 Shanghai Old Town against modern apartments. Except for Made In China labels on products sold worldwide, China occupies an obscure place in the American consciousness. My only genuine connection to the place I’m about to visit is my love of Chinese food, which I plan to shamelessly indulge. In Europe and the Americas, the stamp of Western culture upon three continents creates common and familiar frames of reference. In China I will be unable to speak or read the language. Religion, social customs, laws, and the political system will be alien. 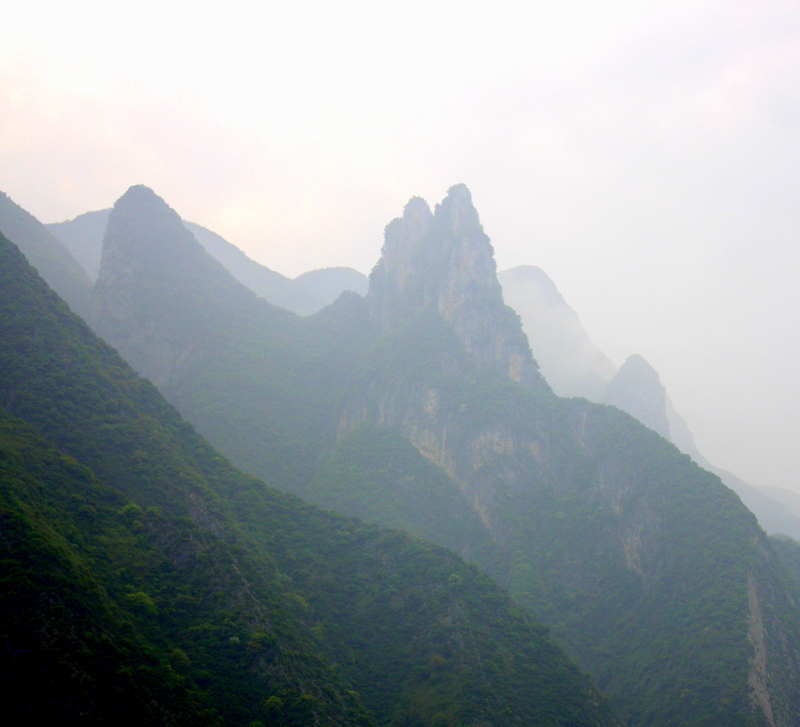 Peaks in the Three Gorges area as seen from the river. 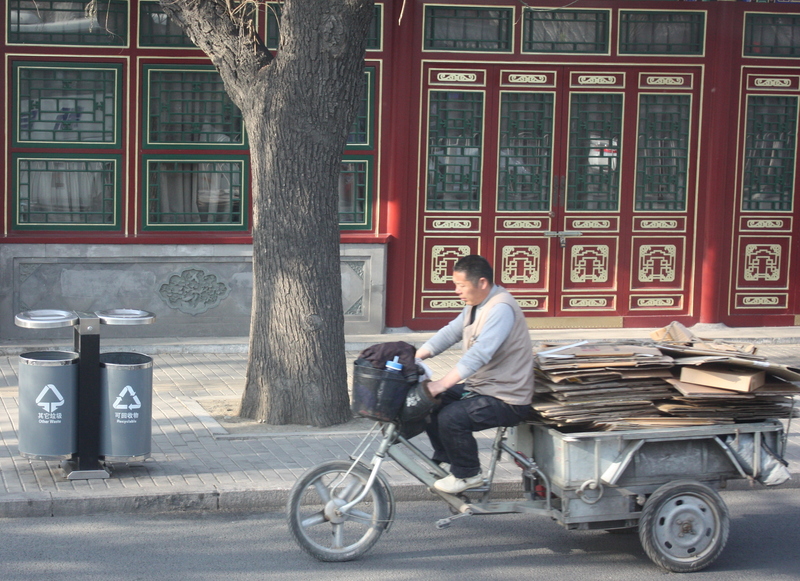 And little of what I’ve been taught about China by American media seems likely to shed much light on the subject. Since China’s great “opening up” in 1978, its Communist government has been morphing it from a managed economy to a market economy. 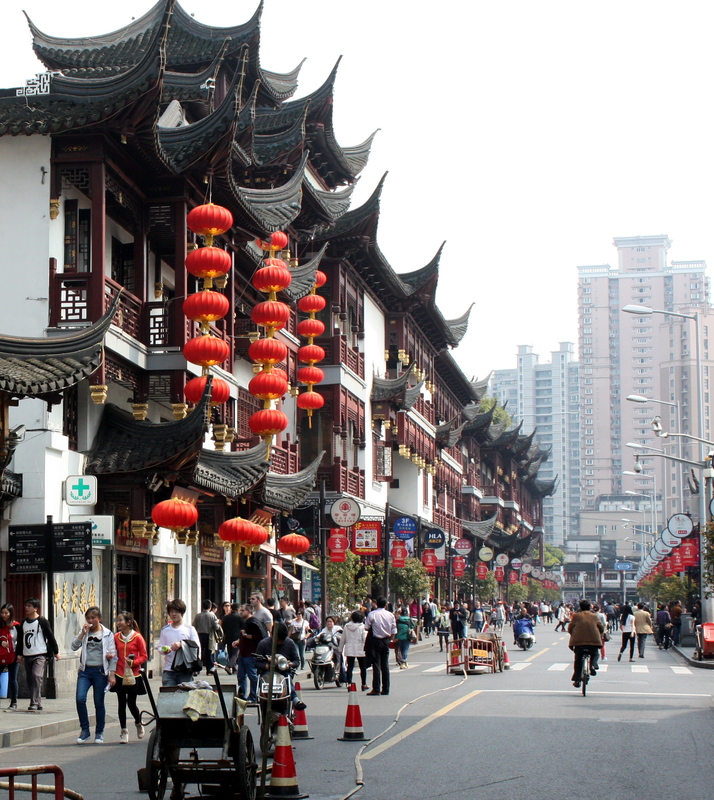 Headlines tout China’s economic ascendancy, but China has remained for Americans a distant and little understood culture since the two nations first began trading in the 1840’s as an outcome of the Opium Wars. Panda at the Chongquing Zoo. As recently as the 1930’s, China remained to most Westerners as remote and mysterious a place as the polar ice caps or the heart of Africa. Misconceptions and stereotypes about China and its people were reinforced by media portrayals like the Charlie Chan movies, the Terry & The Pirates comic strip, and Flash Gordon’s Emperor Ming. It was not until Claire Chenault led the Flying Tigers into combat support of the Chinese that American perceptions were first refocused. Even today it is not well known that China suffered nearly 20 million World War II casualties, including 8 million civilian victims of Japanese war crimes. By the time of the Pearl Harbor attack, China and Japan had already been at war for four years. 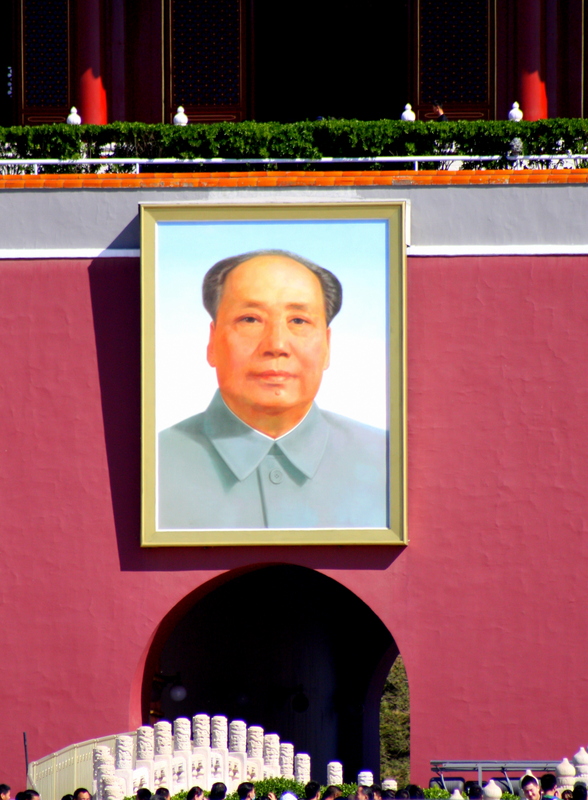 After Mao Zedong’s Communists swept Chiang Kai-Shek’s Nationalists from power in 1949, China was seen by most Americans through the lens of anti-Communist hysteria, punctuated first by China’s entry into the Korean War and then by the Cultural Revolution. Americans first began to see China differently upon Nixon’s historic visit to Beijing, but Cold War mentality still survives in perceptions of China as threatening adversary, if not on the battlefield then in the global marketplace. I’m more interested in how the growth of capitalism in China stands against the commonly held American conviction that a capitalist economy and democratic form of government are inextricably linked. 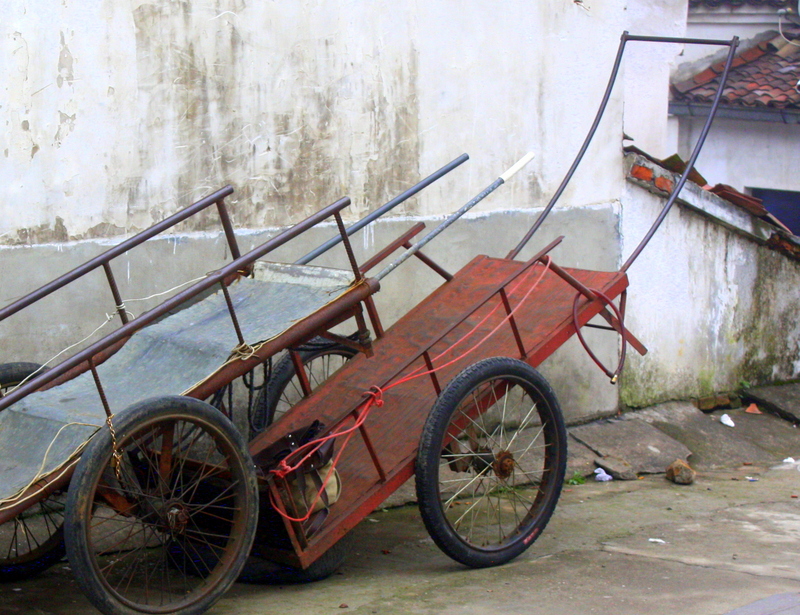 The idea of this trip is to see not just the mega- cities, but towns and the rural interior. 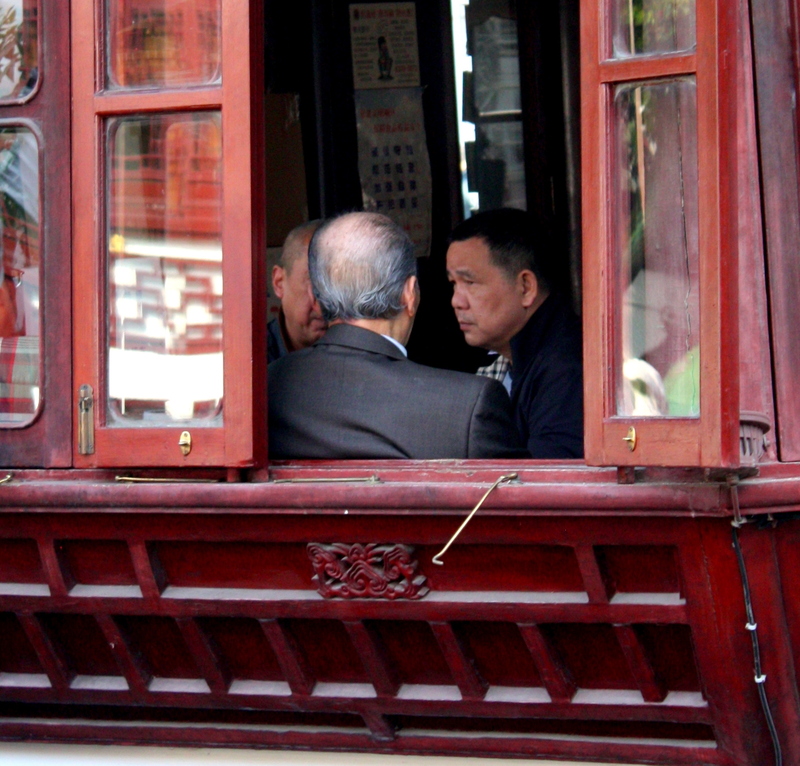 Not just to tour popular sites, but to gain some insight into what makes the Chinese people and society tick. My lessons begin with arrival at Shanghai’s Pudong International airport. It’s bright, cutting-edge modern in design, and antiseptic. The terminal is so vast that the view down its long concourse seems to reach the vanishing point. Shanghai’s Pudong International airport terminal. Such scale offers a lesson that will be often repeated in the coming days: There’s enough “Big” in China to give any Texan an inferiority complex. It’s surprised at the almost non-existent presence of police or military. Sharply uniformed Immigration officers are hospitable, and efficient. Passengers with nothing to declare are waved around Customs. The guide is waiting with a car. The trip to the hotel on the city’s near west side takes nearly an hour on modern expressways, and on this Sunday evening traffic is brisk. In the darkness outside, city buildings are lit up by light sculptures and giant-sized video screens. The only place I’ve seen more lights is in Las Vegas. 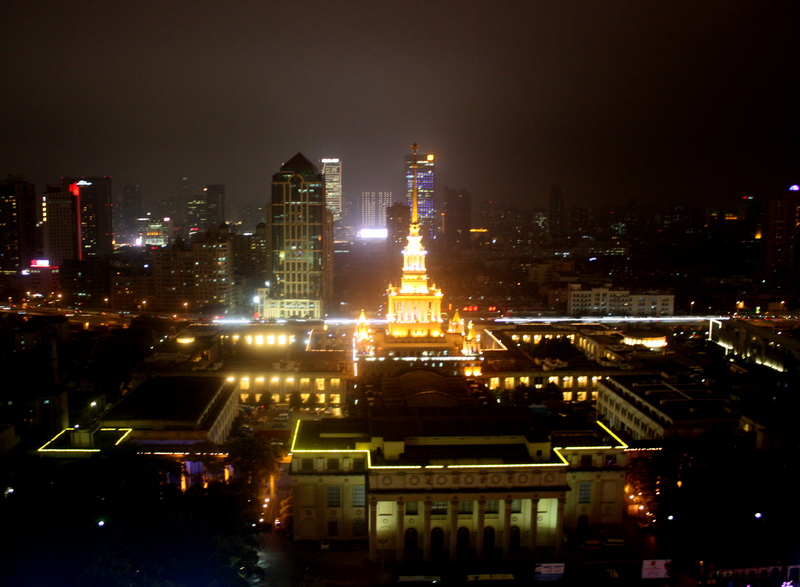 Right outside the window is an exhibition hall built and given as a gift to the people of China from the former Soviet Union. The Chinese seem to be having the last laugh. Back home it’s morning and even though I’ve slept through much of the flight, I’ll be dragging by mid-day unless I get some sleep tonight. 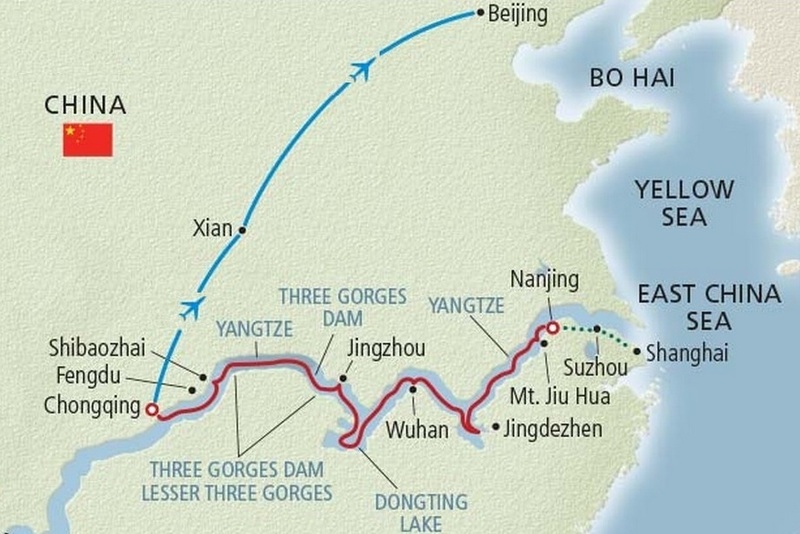 This trip begins with three days in coastal Shanghai and continues overland to Nanking, embarkation point for a twelve day cruise down the Yantgze – China’s Mississippi River. It wanders inland through lowland farms strung between robust cities. It passes ancient temples, formal gardens, and artisan workshops. 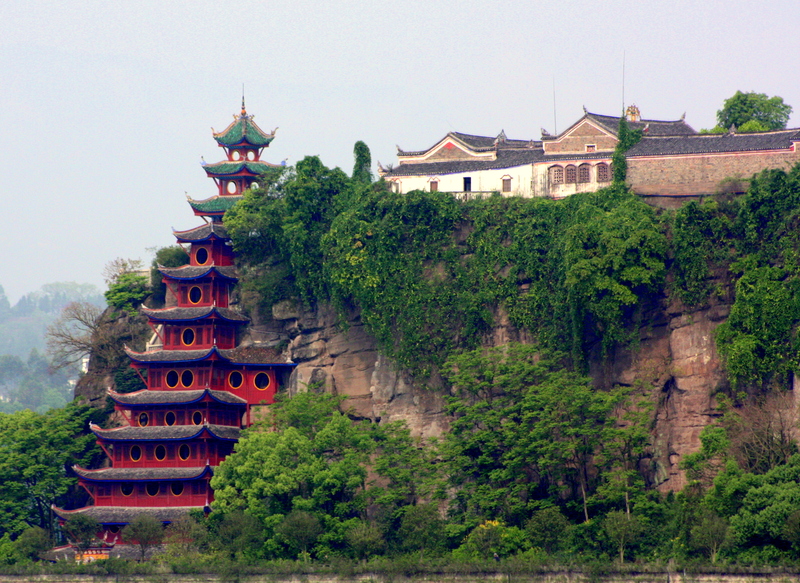 And it continues through the canyons of the Three Gorges and the locks of its great dam. 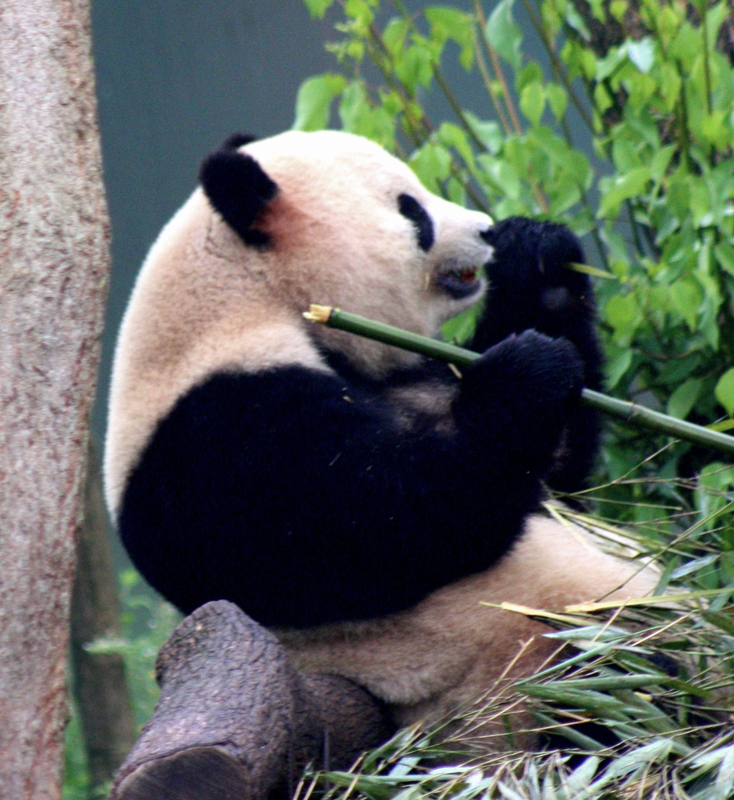 Before boarding a plane for Xi’an in Chonquing, there’s an early morning visit to its urban park zoo and pandas. 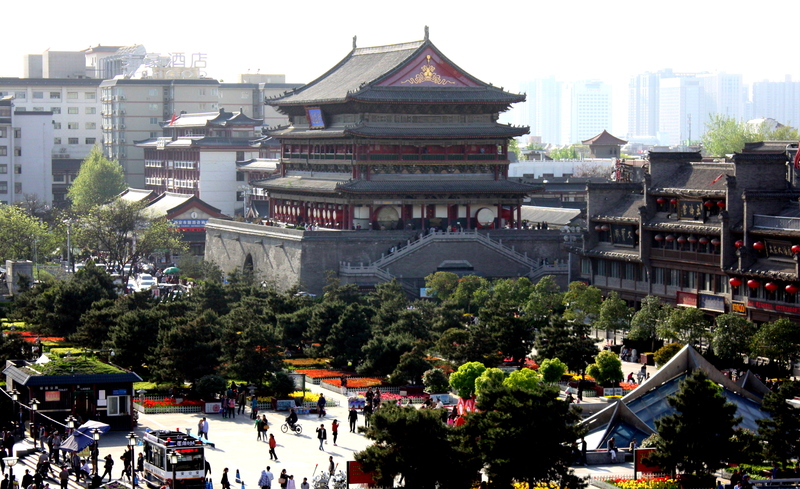 Xi’an is an ancient capital of China. A walk through its historic city center is a must, but it’s better known as the archeological site of the Terra Cotta Army. 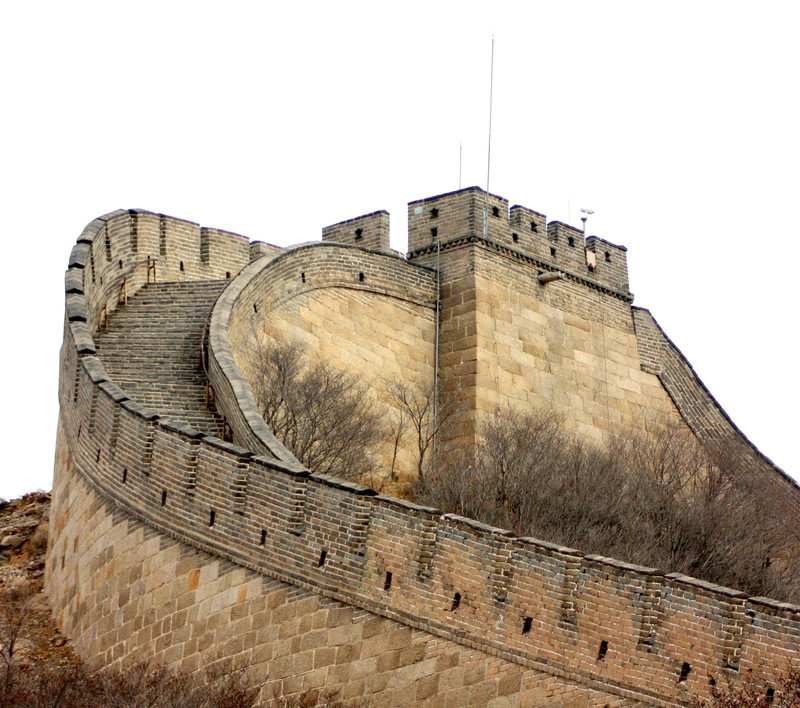 The trip ends in Beijing, with visits to a centuries-old residential neighborhood, to Tianamen Square and The Forbidden City, and to the Great Wall.